On Sale Now! 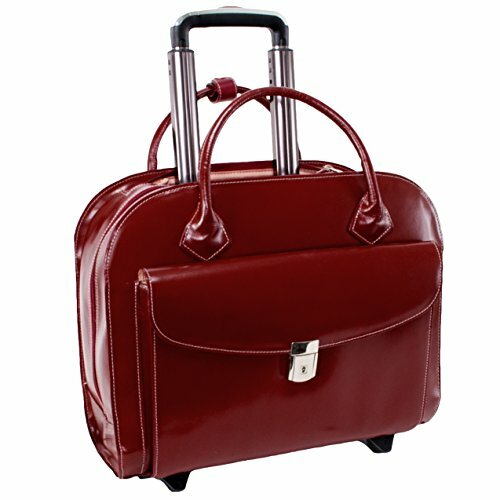 Save 9% on the McKleinUSA GRANVILLE 96146A Red Wheeled Ladies' Laptop Case by McKleinUSA at Jetstream Cat. MPN: 96146A. Hurry! Limited time offer. Offer valid only while supplies last. Quick access front pocket is secured with a key lock. Interior organizer with storage space for media devices, business cards, key holder and pens. Quick access front pocket is secured with a key lock. Interior organizer with storage space for media devices, business cards, key holder and pens. Double compartment divided by secured zipper pocket for important documents. Built-in high-density laptop compartment that protects laptops up to 15.4-Inch in size. Smart Attachment Strap allows transport on extended handles of other rolling cases and luggage.